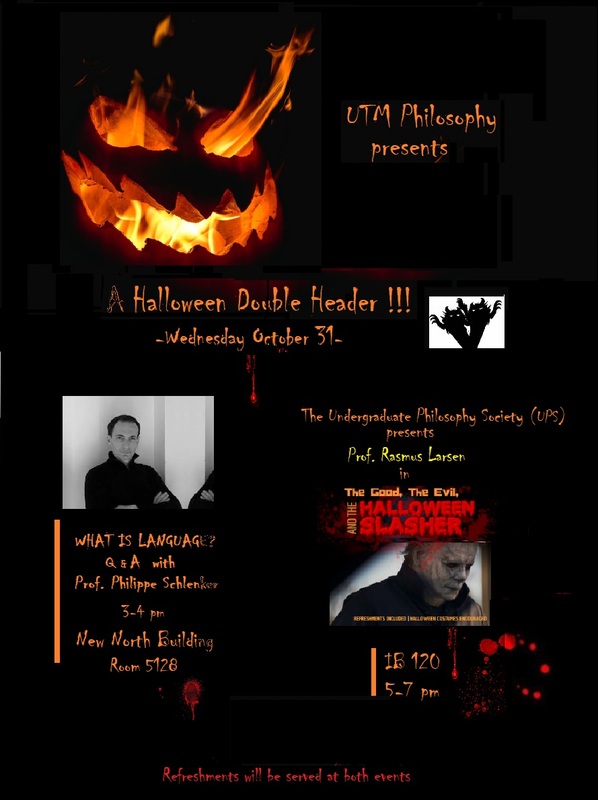 UTM Philosophy Halloween Double Header! Preceding the UPS event (see below), special visitor Prof. Philippe Schlenker (NYU/Institut Jean-Nicod, Paris) will hold a Q&A session on his work on the nature of language and its connections to other domains like music. Time: Wed Oct 31, 3-4 pm Location: New North Building, rm 5128. 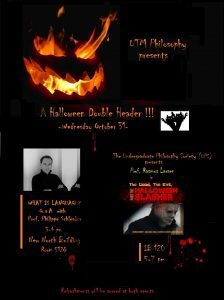 The Undergraduate Philosophy Society will be hosting a special event on Wednesday October 31 from 5pm to 7pm in IB 120. 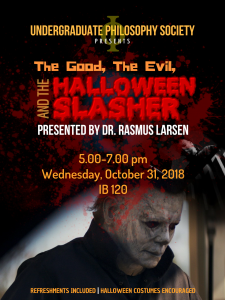 It is titled ‘The Good, The Evil, and the Halloween Slasher’ and will feature Dr. Rasmus Larsen giving a fascinating talk on psychopathy and the architecture of evil, followed by an audience Q&A session. Refreshments will be provided, and Halloween costumes are encouraged, albeit not mandatory. For any queries, send us an email at philosophy@utmsu.ca, or a message on our Instagram @utm_philosophy.